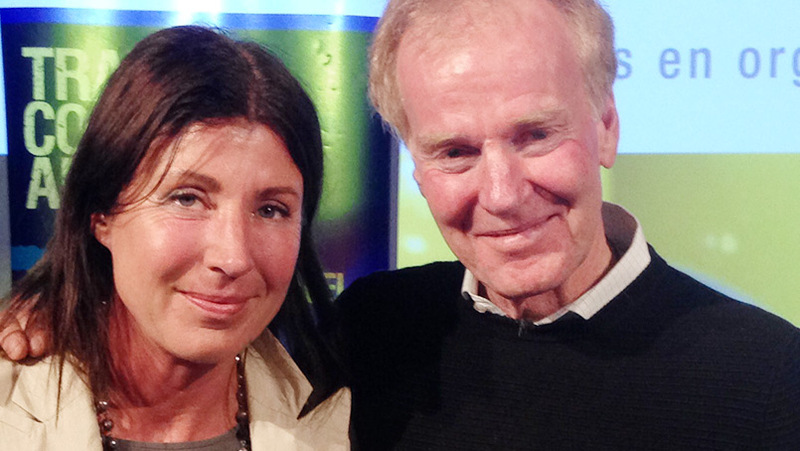 Peter Senge presented his work elegantly and eloquently. He spoke to the power of listening as a means of bringing forth something new. He talked about how to ‘listen someone into listening’ as part of leadership. Why? Because the quality of listening determines the outcome of any meeting or relationship – and how ‘what’s next’ is articulated. He said that ‘future’ simply means that something new is constellated. It was obvious why he has earned such respect in the field of leadership development.